There are many things about Christmas I love but something about a real tree really warms my heart. Makes it sing, do a lil jig and dance too! I dunno about you but having a real Christmas tree in our home really makes it seem like its real! Every year we go and cut one down at a local tree farm. Its a lot of fun to go and find the perfect tree! It's a tradition! 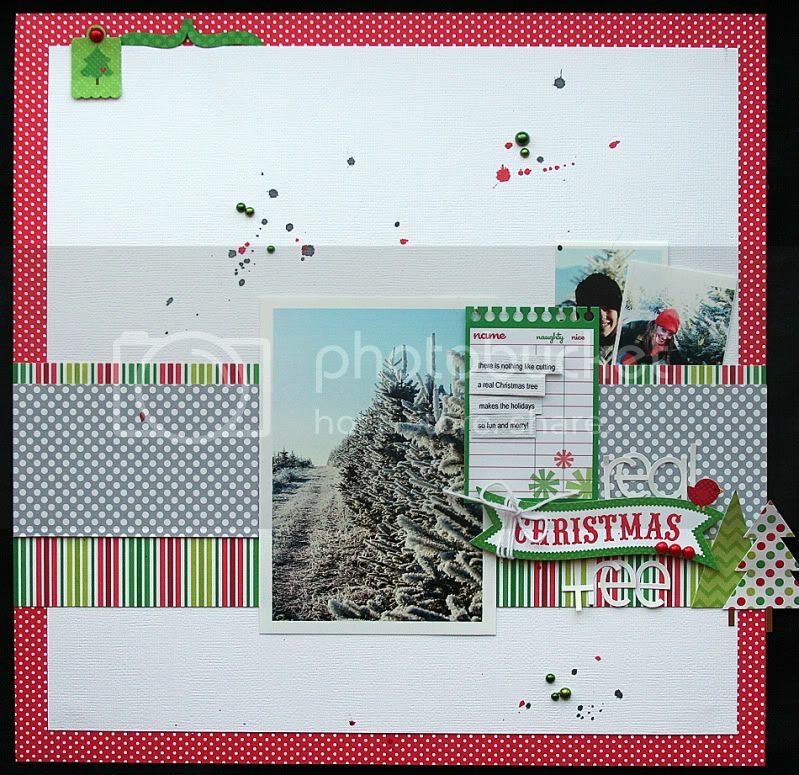 This week I created a layout for Doodlebug Designs using their new North Pole Christmas Collection. 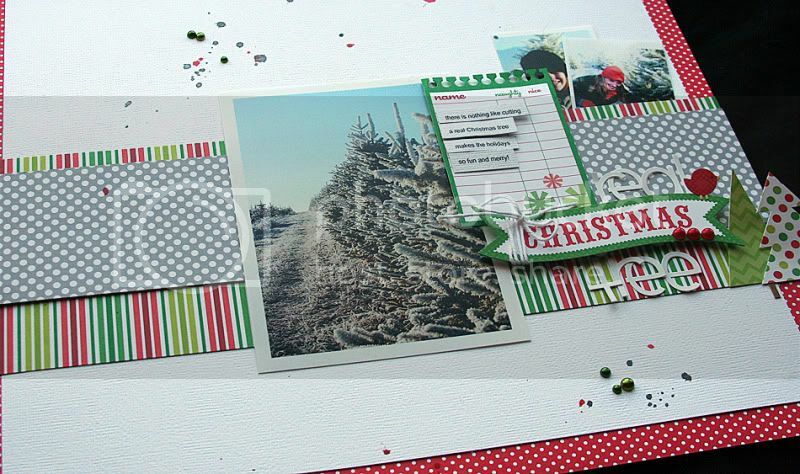 Supplies: North Pole Sweet Tweets papers, American Crafts cardstock, North Pole Holiday Lane papers, North Pole Festive Frames papers, North Pole Cute Cuts, Simple Sweet cardstock stickers, Mini Pearls Ladybug, North Pole Icons, Doodle Twine Christmas Assortment, Computer font Arial Narrow. Mini Pearls Limeade Assortment, Mr. Huey's Mist, Glimmer Mist. Love this layout and paper. It's so fun and Christmasy. So many things that you could make from it. Love the projects so far this week. Absolutely fabulous Elizabeth! Great design and paper combination! !